"Exeter are overwhelming favourites for this match and the hosts should clinch a comfortable win against a Wasps side yet to win at Sandy Park in nine league visits." There is plenty at stake at Kingston Park when two sides embroiled in a relegation battle face each other. Newcastle are bottom of the Premiership and three points behind Worcester with only four matches remaining. Dean Richards' side lost at Saracens last weekend but have won three of their last four games to boost their hopes of staying up. It would have been unthinkable at the start of the season to imagine Leicester facing a fight to avoid the drop but their slump has seen them fall to tenth and only five points clear of their opponents this weekend. Leicester slumped to a 52-20 home defeat to Exeter last week after Tom Youngs was sent off in the second half. It was their third successive loss and Geordan Murphy's side desperately need to halt this slide down the table. Newcastle have given themselves a fighting chance of avoiding relegation after their recent run which has seen them win their last two home games. The Falcons have momentum on their side and look capable of clinching a vital victory over struggling Leicester. It is likely to be tight and tense, with all Newcastle's six wins coming by no more than 12 points, but the hosts are backed to edge to a crucial victory. Gloucester head into the West Country derby against Bath in confident mood after an impressive run of form. The Cherry and Whites have a six-point cushion in third place and a semi-final spot in the Premiership looks inevitable. Gloucester scored six tries in their 40-31 victory at Northampton last week which was their third consecutive win. Bath head to Kingsholm still harbouring hopes of finishing in the top four although the sixth-placed side have five points to make up on Harlequins in fourth. Bath defeated Bristol 26-19 last weekend at Twickenham but have not put back-to-back wins together in the league since December. Todd Blackadder's side will need to find consistency over the next month if they are sneak into the semi-finals. Gloucester have not enjoyed the best record against Bath recently but the hosts should take the derby honours this time in their current form. With only one defeat in their last six games, Gloucester are peaking at the right time. Bath have only won once away since September and the Cherry and Whites can consolidate third spot by covering a six-point handicap to win. Exeter have opened up a commanding nine-point lead at the top of the Premiership and the leaders are in ominous form heading into the run-in. Rob Baxter's side have reeled off five successive victories and should confirm a top-two finish this weekend. 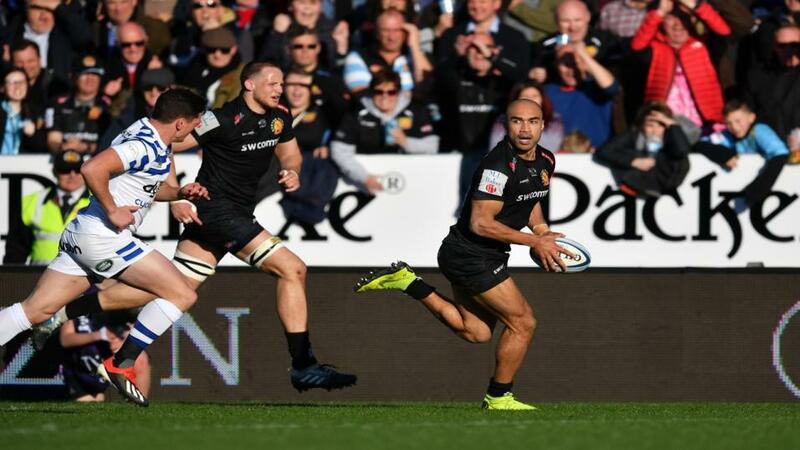 The Chiefs scored seven tries during their comprehensive win at Leicester last week. Wasps have disappointed this season and are unlikely to finish in the top four after losing ten of their 18 matches. Dai Young's side are eighth in the division and secured their first win for five games after beating Worcester 28-16 last week. The victory ended any threat of Wasps being dragged into a relegation battle but it has still been a campaign to forget for last season's semi-finalists. Exeter are overwhelming favourites for this match and the hosts should clinch a comfortable win against a Wasps side yet to win at Sandy Park in nine league visits. The Chiefs, unbeaten at home in the league this season, have won their last two games by at least 19 points and are backed to cover a 14-point handicap against weak travellers Wasps.